Microsoft gets ready to launch new Xbox 360s? Microsoft could be planning to update its entire range of Xbox 360 consoles . According to web rumours, Microsoft has plans to fit all Xbox 360 models with HDMI outputs and super-efficient 65nm CPU chips. Despite the fact that the HDMI-fitted 120GB Xbox 360 Elite is only launching in the UK on 24 August, Microsoft plans to add some of its exclusive features to the Core and Premium consoles too. The rumour comes from games blog Opposable Thumbs . 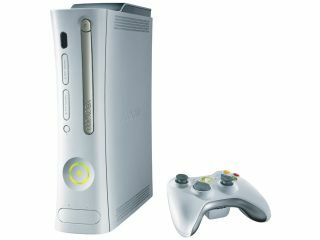 It claims to have an inside source telling it that by September, all Xbox 360 consoles will have the updated features. It also suggests that the recent $50 price cut of the Premium console in the US and Canada is a Microsoft ploy to clear out old stock to make way for the updated, newer versions. The 65nm processing cores will be a lot more efficient and a great deal more reliable than the older ones. They'll not overheat for a start, so the fans inside the new batch should be a lot quieter. This release schedule is just a rumour so far, but we'll let you know as soon as we hear anything more concrete.